Yet another wonderful addition to my licorice Odyssey. It’s so fun to try all the different flavors that companies bring out and compare the differences. This one is one of my favorites thus far. Not for the texture (i really dont like V2 los products as much as Match, they tend to be grainy and fall apart easily), but i really liked the taste of this and in my opinion, offroad has some of the best flavorings on the market. While orange Popsicle and vanilla crème might not be everyone's idea of a good snus pairing, you can’t deny the harmonious symphony of tobacco and licorice. Standard black V2 packaging: check! Standard V2 course to medium grain cut: check! Crazy, inventive and high quality V2 flavoring: double check! 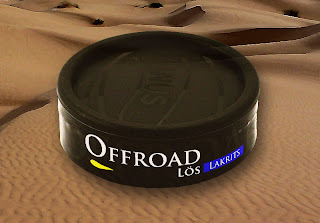 The taste is the most pleasing licorice flavor I’ve ever had in a snus. It doesn't taste artificial like some of the others and has a mellow licorice root flavor that is very long lasting and substantial. The flavoring is very obvious and not for the faint of heart, but i think that's what i love about it! you definitely know what you have in your mouth and very little prompting from your tongue is needed to extract the strong anise flavor. This one also has a little bit of sweetness to it which is a nice surprise. I tried looking for a form of sweetener on the list of ingredients but its only tobacco, salt and flavor, so i guess it’s part of the flavoring profile. very nice! The texture is not my favorite. 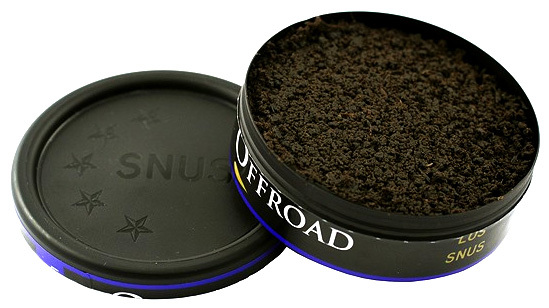 I prefer a really finely ground snus that encapsulates itself nicely in your gum pocket and stays put for an hour. You dont get that with V2, it tends to fall apart quicker and moves around a lot. The smell is that of pure lakrits/licorice. You get hardly any tobacco fragrance, it’s all anise baby and its very hedonistic. What was cool is that my can had glitter in it! I took a picture and you can faintly see Mr. Sparkle! I have no idea what caused this but I’m guessing they are little crystals of undissolved salt. Totally awesome! I felt like Malibu Barbie with my Californian beach house and glitzy snus. It's definitely earned a place in my handbag. A standard 8mg that doesn't leave you unsatisfied, i think partly because of the strong flavoring. Makes you feel like you have had a lot of snus but really you haven’t. This snus has now earned a place as my perfect after dinner treat. A mouth cleanser and a nicotine hit, what more could you ask for in a snus.